In this edition of TOP FIVE, we will be reviewing five of the most commonly requested concealed carry pistols on the market. These selected firearms may differ from other lists you may have seen, as these are ones I have seen asked for in my experience behind the counter. When pondering what would be the best selection for an ideal carry weapon, most aim for the smallest frame available. This idea may be suitable in retrospect; however, there are disadvantages to choosing the smaller frame pistols. Today we’ll look at handguns that aren’t the smallest on the market but still make the best carry options. 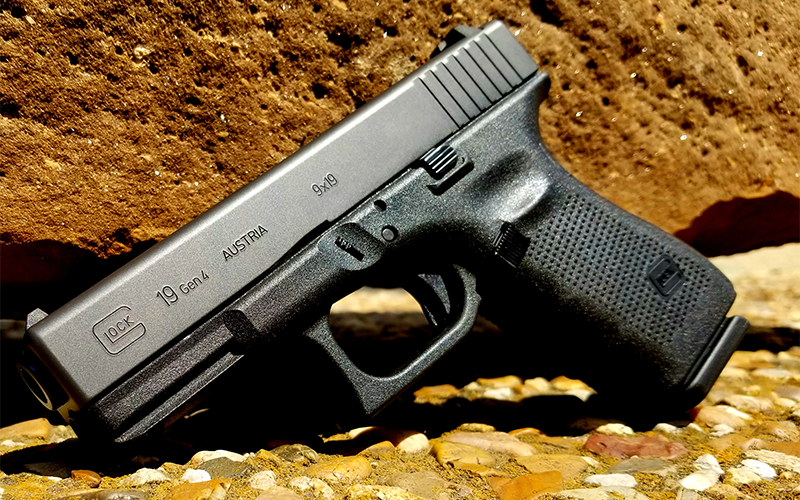 Built as an all-purpose handgun, the Glock 19 has seen itself as one of the most commonly requested pistols within the concealed carry market. This model is large enough to be a duty weapon while also being small enough for easy concealment. With an overall capacity of 16 rounds, 15 in the magazine plus one in the chamber, this pistol carries 2-3 more rounds than other models on the market. While this is not necessarily built to be the ideal target or competition pistol, its simple design ensures it will function almost any time you need to use it. Additionally, the simple takedown allows a basic field strip to be conducted in record time, making cleaning the weapon easier than most. While it is not the best looking firearm on the market, it is made to point and shoot, ensuring you will accurately place rounds on target. 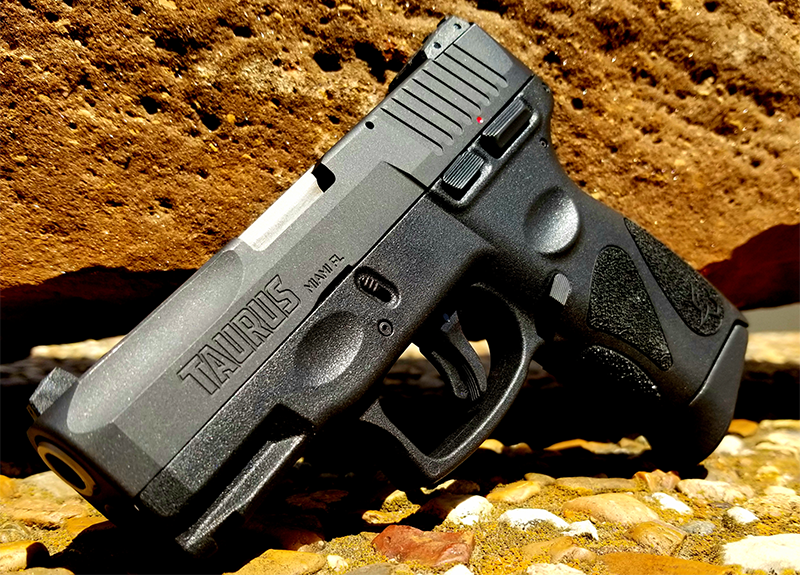 Despite its questionable past with a failed drop safe from the first run, the Taurus G2C has shown major improvements. From the revision of the newly refined internal drop safety, to the added safety features, this model is sure to appease those who seek an inexpensive firearm for easy concealment. The small size allows the shooter to holster the weapon unnoticed, whilst providing comfort in knowing that you will not have to worry about printing. One of the more noticeable features is the rougher texture on the grip of the pistol that will provide better control if you are firing in wet conditions. Alongside Glock, Smith & Wesson has grown to be one of the most reputable firearm manufacturers’ in the industry. 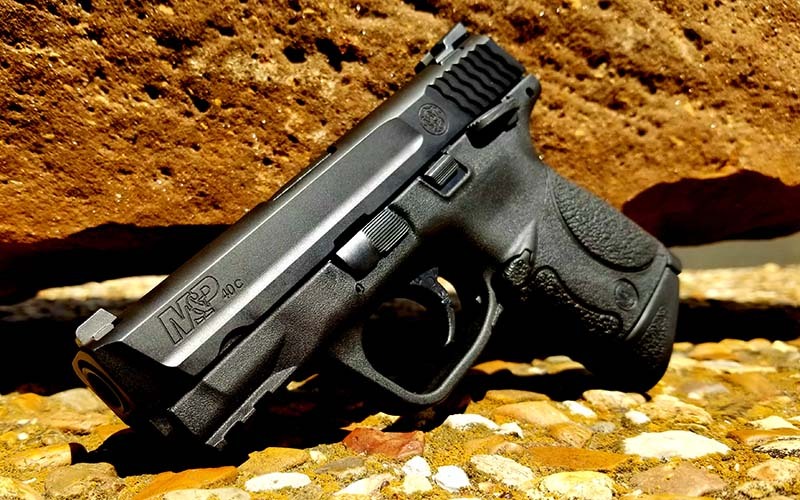 After the unveiling of the Smith & Wesson M&P Compact in the summer of 2005, this polymer-framed, recoil operated, semi-automatic pistol began making a name for itself amongst those involved with sporting. While this was mainly targeted towards law enforcement agencies, this model has become widely available on the commercial market. Engineered as a hybrid between the SW99 and Sigma, this has become quite the competitor for Glock, as well as similar makes on the market. To those who are just being introduced to firearms, or searching for a first-time buy, you may not notice what makes this different than “any other pistol.” However, there are a few added features that set this apart from its competitors. One of the more pleasurable additions is the ability to adjust the thickness of the grip with the interchangeable backstraps. Whether compact or full-size, you may adjust the width to rest comfortably in your hand, either large or small. If you are a 1911 fan, but do not want to carry a full-size, solid steel pistol, the Springfield XDM may be a more comfortable fit than a standard semi-automatic pistol. Although there is no manual safety, you will find a grip safety like the classic 1911, as well as a “Glock style” trigger safety. These safety features may ease the thought of carrying one in the chamber as an accidental discharge with this firearm is virtually an anomaly due to all internal mechanisms that must be engaged to disengage any safeties. To fire this weapon successfully, you must engage the grip safety in conjunction with the trigger safety for smooth, easy firing. 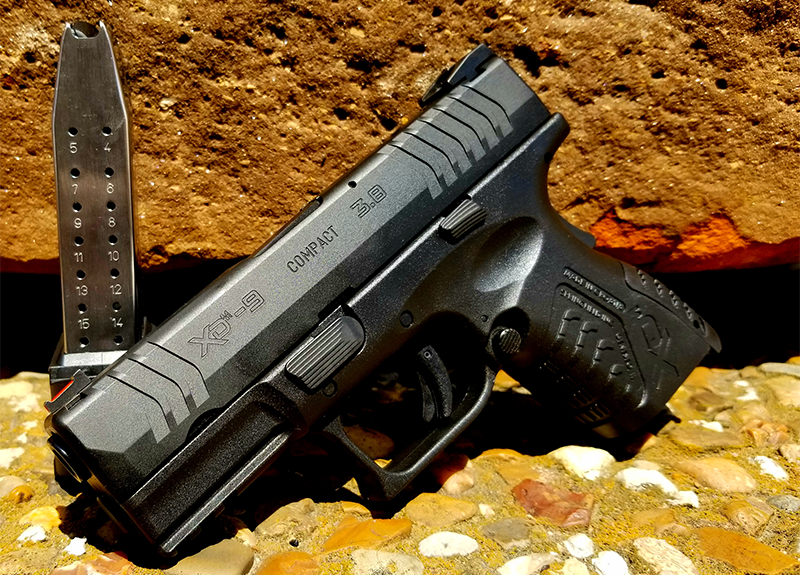 Offering one of the smoothest stock triggers, the XDM has grown to be the go to pistol of some CCW holders. Springfield has also considered what their fanbase has to say about their products and spent years engineering a pistol that appeases all interested. One major complaint about this model is how it is closely similar it is to Glock with the minimal ergonomics. Over time, the company consulted with numerous professionals on how to concoct a handgun that offers a pistol that feels good in the hand, while retaining the key features of this weapon. And thus, the Springfield XDM Mod 2 was introduced to the market. With a form-fitting grip, high-viz fiber optic front sight, this has not only landed a spot on our list, but also with fans of striker-fired pistols across the nation. 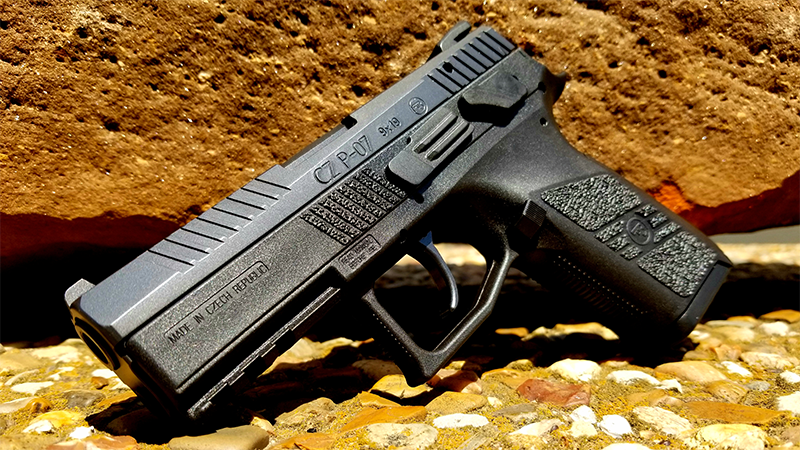 In light of the growing popularity of striker-fired handguns, CZ is known to be one of the few manufacturers that continues to offer hammer-fired, semi-automatic pistols. If you are able to move past the thin slide, this firearm not only handles well, but has a smooth double-action, leading to a light single-action trigger pull. Sporting the same 15+1 capacity as the Glock 19, some have leaned towards the hammer-fired platform offered with the CZ P-07. While some may not be fond of the decocker, CZ has not left this unanswered and offers the ability to switch this to a manual safety with all components provided in the box for an easy swap. Also, if you are looking to mount a tac-light, the picatinny rail on the underside makes this a breeze so you do not have to worry about proprietary lights or lasers. All firearms selected for this edition of TOP FIVE are listed in no particular order and were chosen based on popularity, as well as customer experiences. This is in no way to persuade buyers that one is above the rest as it is advisable to choose the option that is right for you. If you are looking to get a feel for one of the pistols on this list, or have further questions you would like answered, visit us at 1800gunsandammo.com, or come to our retail store in Arlington, Texas and we will be more than happy to assist you in your selection.